Every potter loves playing in the mud. But that doesn’t mean that they want to wear it all the time. So a new potter’s apron might just be the perfect gift for your favorite potter... or yourself! Specialized Potter Aprons : Handmade by my Mom!!! * One size fits all….for the most part. 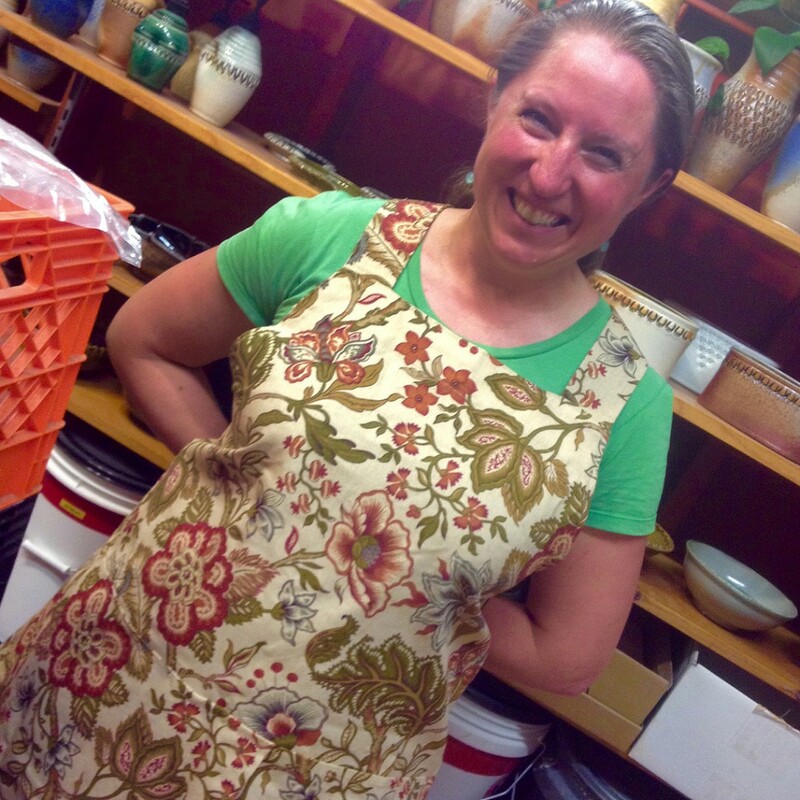 My pottery buddy Catherine showing of her new apron… her first apron was literally threadbare where she wipes her hands on her thighs every day. Not too bad though, as she has been wearing that apron practically every day for over a decade!!! see, it’s not just for potters! Listed below is the current pottery apron inventory. to “secure” your choice… gary@firewhenreadypottery.com. They are $50 each which includes shipping & handling in the contiguous United States. They are first come, first serve! Don’t miss out. A retro-vibe with a musical flair. A beautiful cobalt blue background with some twisted knots to tie things up! 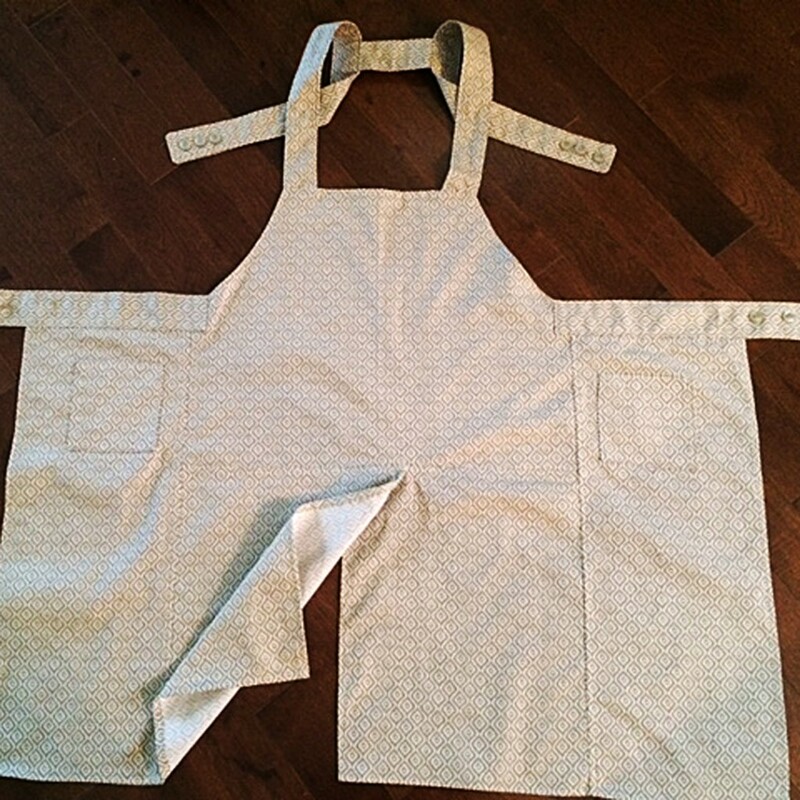 APRON 9 – RHYTHM LINEN ; SOLD … and off to Scotland!!! perfect as the clay won’t show up too much on it!!! 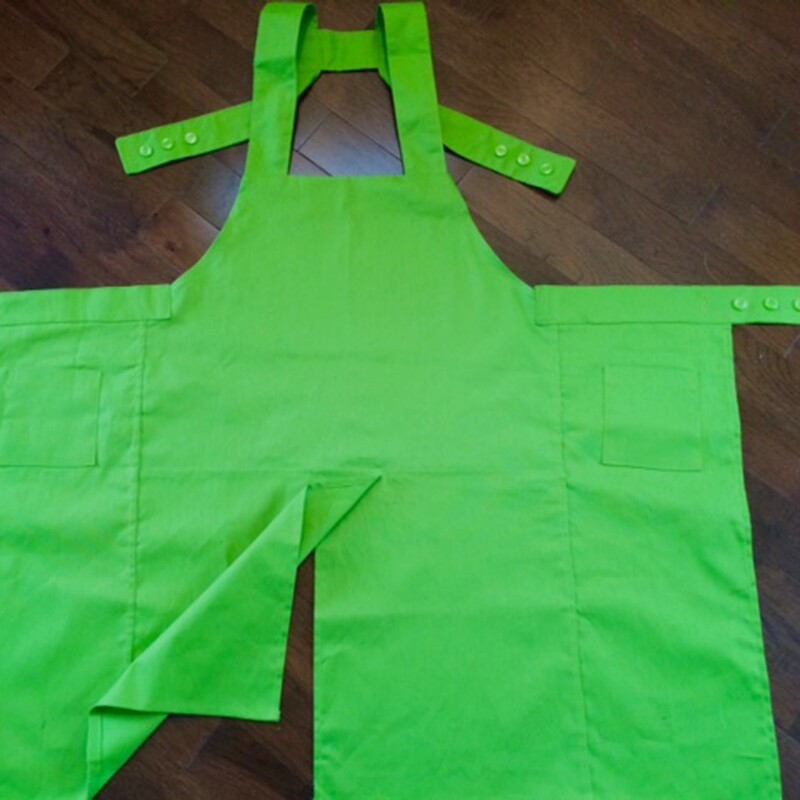 A vibrant green apron to brighten your day – they’ll definitely see you coming in this one! also ideal for that gardener in the family who is always covered in dirt!!! Again, just let me know if you would like to purchase an apron. First come, first served!!! Grab’em while you can!!! which then means she can make some more! Hello. Awesome blog! Your mom does great work on the aprons. I was curious if she does any custom if you want a certain color/pattern? 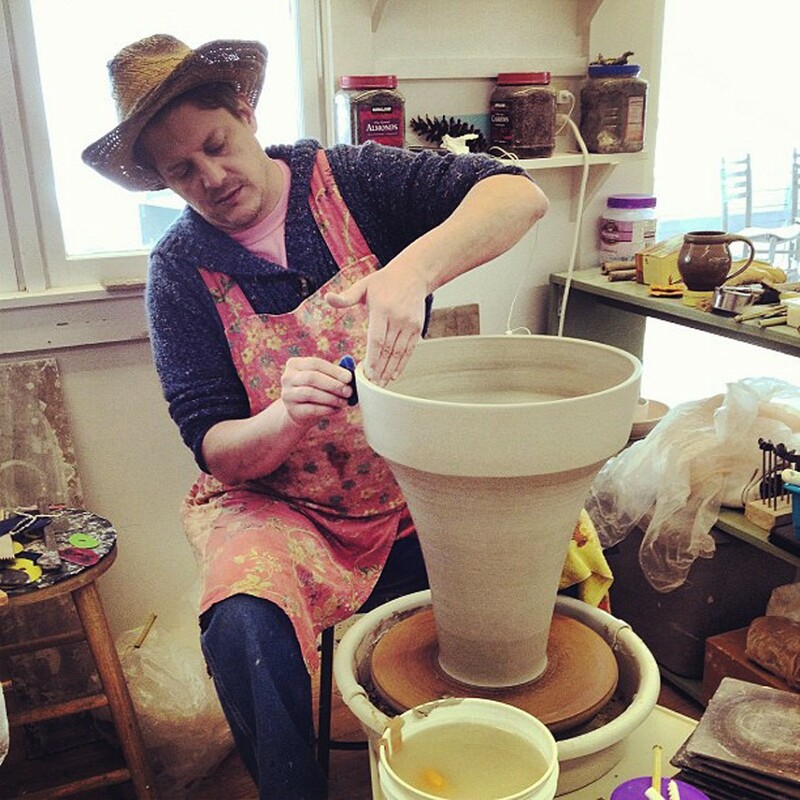 I have a sister who teaches ceramics and jewelry making who is a huge Indianapolis Colts fan so would be curious to know if something could be done in either the team’s colors OR in her school colors. Any info would help. Thanks! Does your mom have any aprons? I want one. HEY MAX – If you go to the list of “Pages” in the top right corner of my blog, you’ll see a category for Handmade Pottery Aprons. 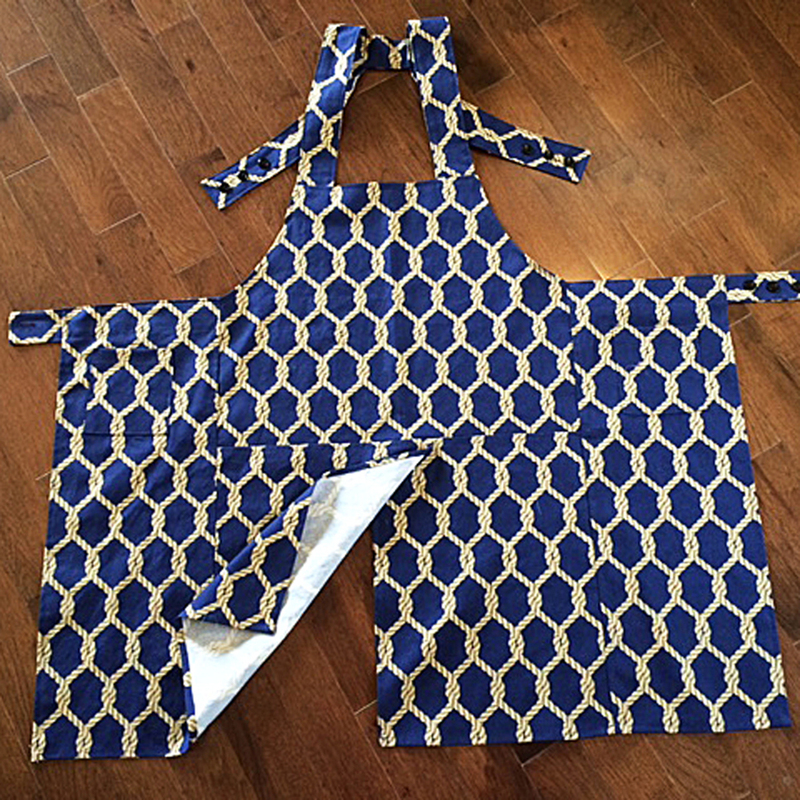 Click on that and you’ll some more information about the aprons… AND her current inventory! Or, you can just click here. Please send email address so I can order an apron. I would like to purchase the “Panorama Teal” pottery apron if still available. so I’ve marked it s SOLD… cuz’ it’s just for you!!! I’ll send you an e-mail with a few more details. I am interested in Apron H – Apron Ebony if it is still available. You AND your mom create great works!! Btw, I emphasize your approach to texture to my students. They enjoy the variety and endless possibilities. Keep up the great work! 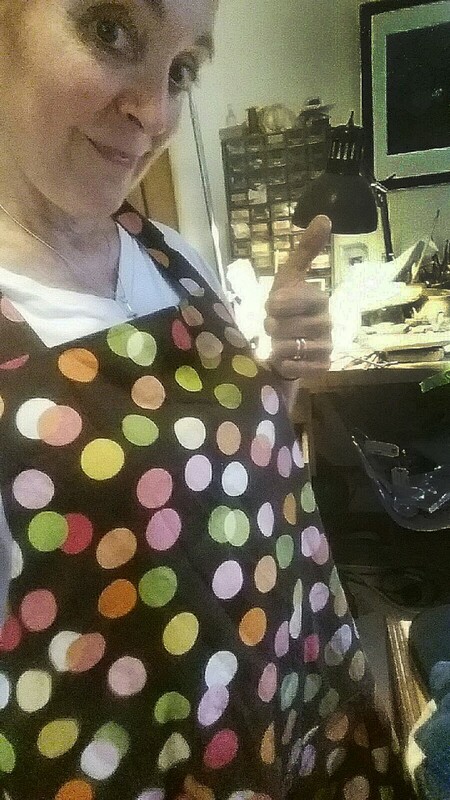 HEY DAVID – Thanks for your great comments and interest in my work… and my Mom’s aprons! 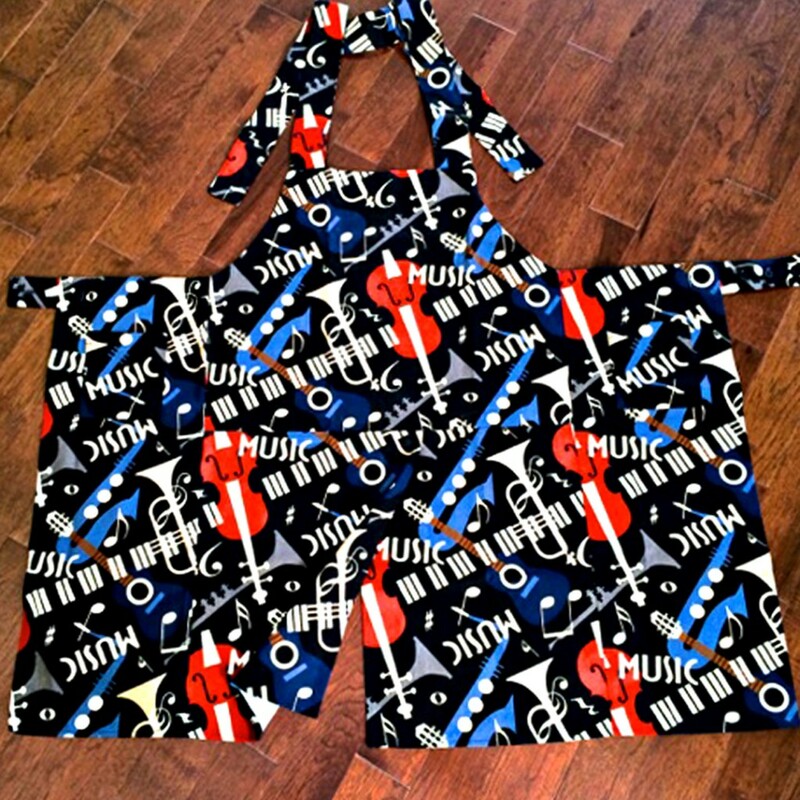 Apron H is still available. I will send you an e-mail with more details and connecting you with my Mom for shipping info. Thanks again! Is the price still $50.00 and is it US$. I am in Australia, so there would also be postage. I had my eye on number nine. But if that is not available something else fairly neutral would do. HEY MARGARET – Thanks for checking in all the way from Down Under! Very exciting… this would be the first pottery apron moving off to Australia! And yes, according to my records Apron #9 is still available. My Mom is the one who makes the aprons, as well as shipping them out with my Dad’s help. YEs, it’s a full-family operation here! I would suggest sending them an e-mail so they can work out the details of shipping to Australia. Here are their e-mail addresses – phyllisjackson625@gmail.com – and – justjacksons@gmail.com. Tell them that I referred you directly to them and I’m sure they can figure something out. Thanks again!